After waiting in line for a whole day, Apple co-founder Steve Wozniak was one of the first lucky folks in line to buy the iPhone 4S. 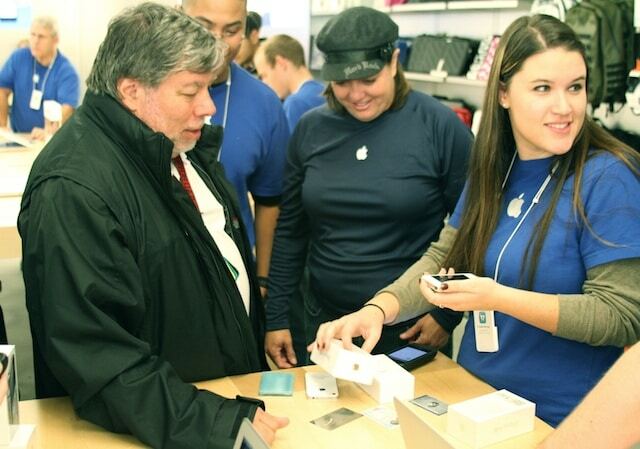 This image shows Woz buying two white iPhone 4S at an Apple Store located in Los Gatos, California. Why two and not one, Woz? The woman you see in the center is his wife so is likely that he bought one for him and the other one for his wife Janet Hill. But there’s a chance that both iPhone 4S are just for himself because Woz is known for owning multiple iPhones and other phones as well at the same time.